The town was originally part of the town (now village) of Weston, but was established as a town in 1930. The town is named for Rib Mountain. Rib Mountain is a glacially-eroded monadnock in central Wisconsin, located in the Town of Rib Mountain in Marathon County. Composed of quartzite covered with a softer syenite sheath, it was intruded about 1.5 billion years ago. Rib Mountain is near Wausau on the west side of the Wisconsin River, just west of Interstate 39 and just south of Highway 29. Rib Mountain is almost 4 miles (6.4 km) long and peaks at 1,924 feet (586 m) above sea level and 760 feet (230 m) above the local terrain, making it the point with the greatest difference in height from peak to surrounding terrain in the state of Wisconsin. The Rib River and Little Rib River are nearby. Rib Mountain is home to the Rib Mountain State Park and the Granite Peak Ski Area. 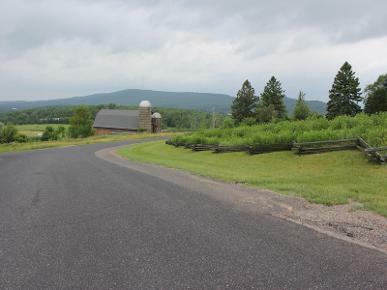 The peak is also the site of transmitters for radio and TV stations in the Wausau area, and is the namesake for Wisconsin Public Television's WHRM-TV (Channel 20) and WHRM-FM (90.9), Wisconsin Public Radio's news and classical network station for the area. 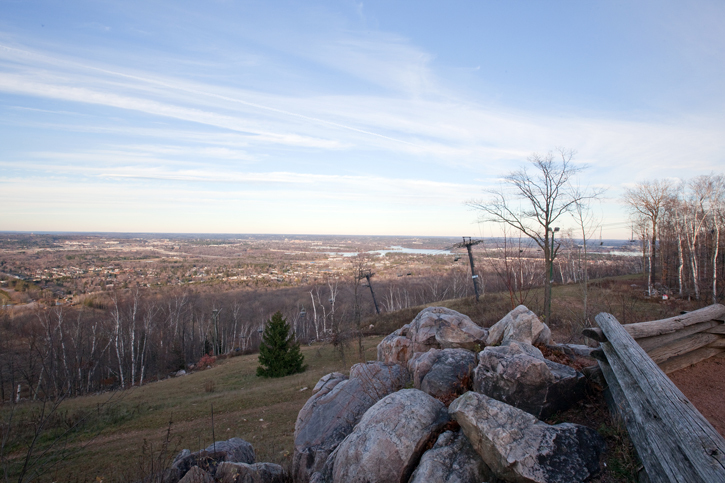 Local legend states that the "ribs" in Rib Mountain denote that it is the burial site of Paul Bunyan. The nearby Mosinee Hill is said to be the grave of Babe the Blue Ox. When the ski area opened on the slopes of Rib Mountain in 1937, it was one of the first ski areas in North America Stowe Mountain Resort in Vermont had opened a few years earlier in 1934. Sun Valley in Idaho had become the nation's first ski area in the western states in 1936. RibMountain.com We understand that your home is your biggest investment. You can count on us, whether you are buying your very first house or selling before you retire. 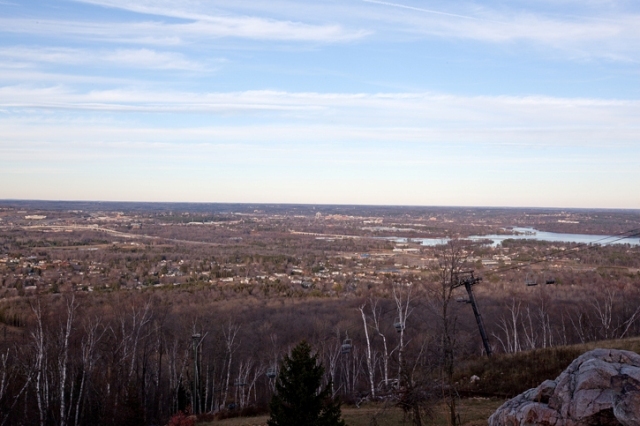 Ribmountain.com is specially designed to provide valuable information about Community in Rib Mountain and Wausau. 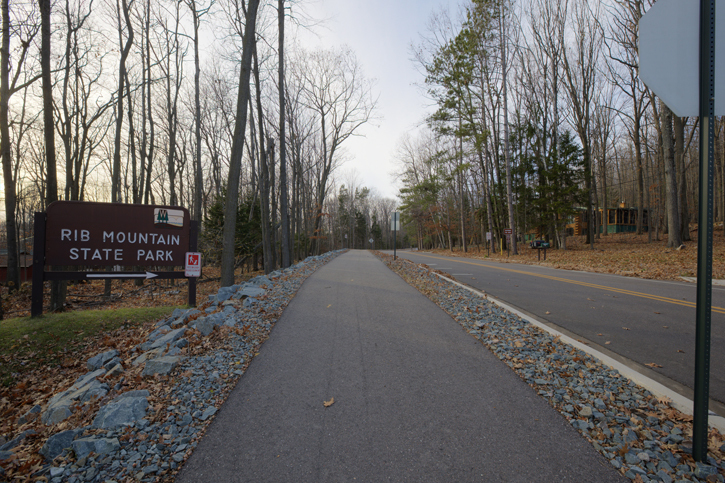 If you are thinking about perfect family place with quality of life, please think Rib Mountain, home of Rib Mountain State Park, Nine Mile County Forest, Lake Wausau and Granite Peak Ski Hill. About Us: With decades of experience working with both buyers and sellers, our team has a personal, friendly touch and a professional approach. 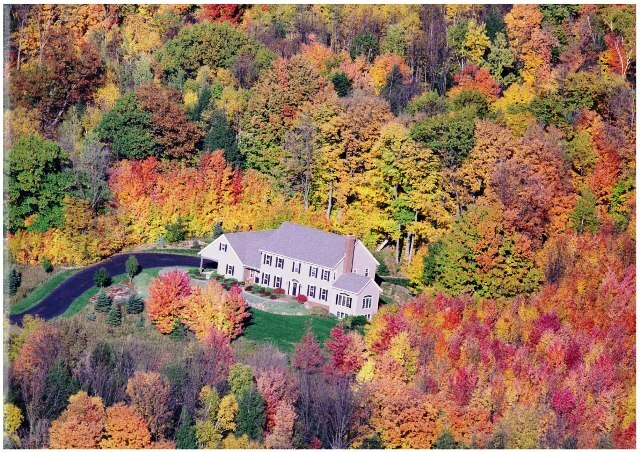 Ribmountain.,com is an expert in this local area, bringing a wealth of knowledge and expertise about buying and selling real estate in Rib Mountain and Wausau Area. It's not the same everywhere, so you need someone you can trust for up-to-date information. Services: We are highly qualified and can provide you with all the tools and advice you need, especially in today’s rapidly changing, complex housing market. We are happy to answer any questions you may have about buying or selling your home - contact us now! Data provided by CWMLS (Central Wisconsin Multiple Listing Service Inc.).